What happens when you combine luxury and performance? You get a Jaguar. Now you can experience that luxury and performance with a Jaguar driving experience. Choose from the modern F-TYPE R or travel back to the Golden Era of motoring with the elegant E-Type. Check out our range of Jaguar experiences, available UK wide for both adults and juniors, below. Find available dates for jaguar driving experiences with our live calendar. What is a Jaguar driving experience? Few car brands combine luxury and performance the way Jaguar does, and now you can experience that luxury and performance first hand with a Jaguar driving experience. 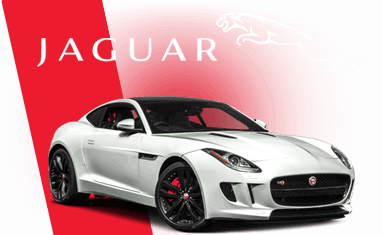 Available at a number of great UK locations, including Castle Combe, Heyford Park and Chobham Test Track, adults and juniors can get behind the wheel of classics like the Jaguar E-Type E2 and modern offerings from the British car manufacturer like the all-action Jaguar F-Type R and XE. Kids and teenagers aged between 11-17 years old can get some minutes behind the wheel with our junior Jaguar driving experience, the perfect pre-driving lesson primer. Our Jaguar track day experiences can be booked as an open gift voucher, valid for 10-months (unless stated otherwise), or can be booked directly on to available dates using our driving experience date picker.